This week for the Brooklyn Paper, I caught up with Francine Stephens, one-half of the duo behind Franny’s in Prospect Heights. It wasn’t on moving their beloved pie shop down the street to a bigger spot, or their new restaurant, Marco’s, opening in the pie shop’s old digs. 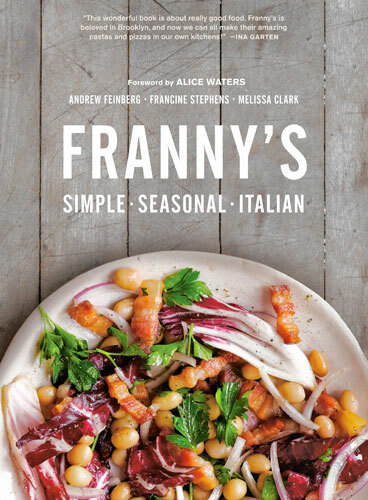 She dished about their cookbook, a culmination of 10 years making simple, seasonal Italian food. Aside | This entry was posted in Food and tagged Brooklyn, Brooklyn Paper, Food. Bookmark the permalink.